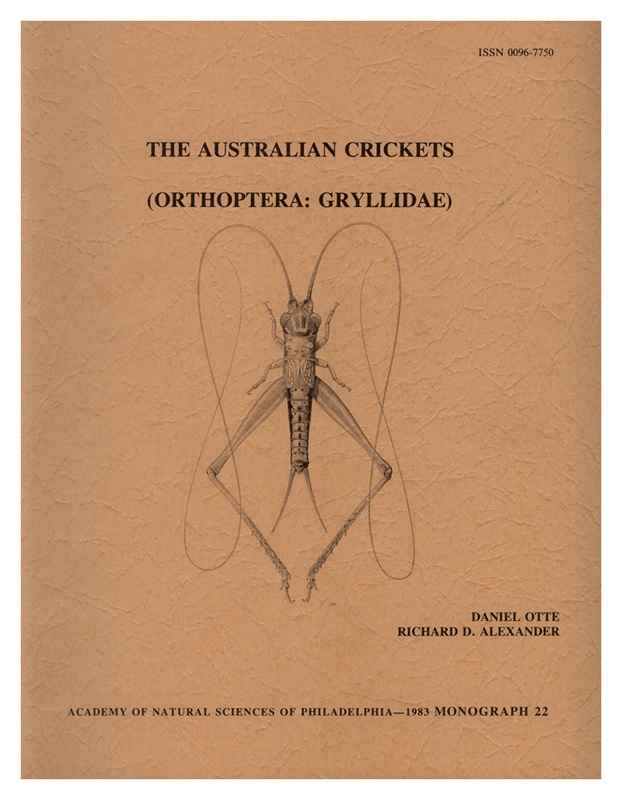 During approximately 46,000 miles of travel, the authors obtained data at 905 different localities, and visited all of the major Australian collections. Material in the European museums was examined on the return trip to the U.S. and many types were borrowed later. 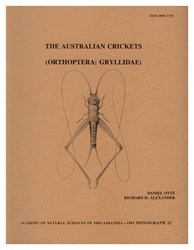 The National Insect Collection at Canberra subsequently sent their entire collection of crickets for further study and the Univ. of Queensland sent a major part of their collection. This work includes 492 species of which 376 are new. These species are arranged in 85 genera of which 41 are new. Fourteen previously published names are synonymized and 17 names are treated as “nomina dubia.” Over 200 maps, charts, tables and illustrations.